I've been trying some new workouts this past week, and can I just say, "ouch!"? Seriously...I forgot how much it hurts to mix things up and move away from the routine, but I gotta say...as painful as it is to sit and stand right now, it's a good hurt...the kind that constantly reminds that I did something hard...I pushed myself and got outside my comfort zone, and I have to admit, it makes me kind of proud and is very motivating. I know that the pain is temporary, and more importantly, I know that it's making me stronger - which is the ultimate goal. As I've been pondering on my uncomfortable state, I've realized that this is the same for many things in our overall pursuit of success. Often the things that bring us the most joy, confidence and inspiration are those that we achieve/receive AFTER a period of struggle. I think the struggle is what makes us appreciate the success even more. Knowing that we've worked for it, sweated for it, cried over it, taken steps backwards for it, prayed about it, ached for it...makes the achievement that much sweeter. If you are feeling discouraged...remind yourself that those feelings are part of the journey to success. Every person that has achieved something great has a story to tell that will include moments of pain or fear or discouragement. They found success by accepting pain as part of the journey and seeing each day as a new opportunity to begin again and move forward. Be that person. You are writing your story and there is a rainbow waiting for you at the end of the storm. Get up when you fall down. Fight back when you're discouraged. Face your fears and destroy them. Don't EVER quit! Get out there and be AWESOME today...and tomorrow...and every day after! Discover the Power of I CAN! Valerie Hendricks is a small-town Idaho farm girl who grew up driving tractors and playing sports. She enjoys spending time with her family, training for triathlons and blogging. 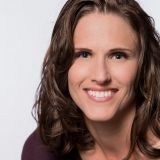 She is passionate about helping others learn about and find success using the Lifetime Wellness Challnge program and shares her own personal struggles and triumphs with healthy living at www.lifetimewellnesschallenge.org. Tuesday, 18 October 2016 Share your GOALS! Tuesday, 11 October 2016 How do YOU define success? Tuesday, 20 September 2016 Did you give your all? Tuesday, 13 September 2016 Share a positive thought? Tuesday, 06 September 2016 Are you obsessed with the scale?